The Web has changed the way we live. Now it’s changing the way we buy. Today’s buyers are tuning out of traditional advertising. They want relevant and valuable information about your brand. They want meaningful relationships with your company. And they want to feel like their voice matters. Is your business tuned in? Content Marketing creates valuable content that supports your brand story, spreads brand awareness, connects with your audience through online channels, and converts them into customers and brand advocates. But successful Content Marketing is not just about good content. It’s not just increased Facebook likes and Twitter followers. Successful Content Marketing requires a cohesive strategy. One that starts with a powerful brand story and ends with increased sales. This is where HTC comes in. We know branding. We know web. We use these tools together to create the ultimate Content Marketing powerhouse. 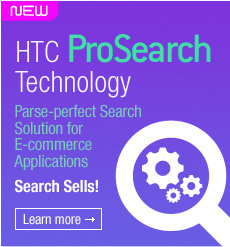 With 35 years at our fingertips, HTC has the expertise to drive your online presence. We offer complete Content Marketing services from defining your unique brand story, to creating unique and relevant content, to managing your online channels, and everything in between. Are you ready to let your brand story become the conversation? Then get in touch! Let HTC grow your social media communities so you can focus on growing your business. Whether your customers are around the corner or around the globe, we will create a social media strategy that will get your voice heard. We can design your social channels, create relevant content, distribute content on the appropriate sites, engage with your community and grow your fan base. Our social media expertise spans all major channels, including Facebook, Twitter, Linkedin and YouTube. Blogs are an excellent way to develop credibility and authority, build relationships and establish your company’s online presence. It takes a significant amount of time and effort to launch and maintain a valuable and well-crafted business blog. Let HTC create original, engaging blog posts to establish a strong and stable rise in your network. No matter your industry, we turn technical jargon into powerful, persuasive words that help expand your reach and grow your audience. Our Brand Ambassadors are fully equipped to step in as your personal content marketing team. How involved we are in the process depends entirely on your needs. We can create your channels, produce content and expertly curate all your social media and content needs or we can set you up with all the tools you need to accomplish your goals. Managed Content Services are offered in 12-month contracts with packages starting at 60 hours per month. No one wants to read a dry newsletter, or confusing report. Creating engaging and informative newsletters, reports, presentations and videos takes time and talent. So why not leave it to the experts? The HTC team will work with your company to create resources that let your hard work look and sound as impressive as it is.